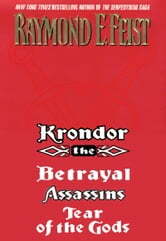 A spellbinding epic fantasy trilogy (KRONDOR: THE BETRAYAL; KRONDOR: THE ASSASSINS; and KRONDOR: TEAR OF THE GODS), “The Riftwar Legacy” is set in Raymond E. Feist’s magical coastal city of Krondor, and follows the adventures of some of Feist’s most beloved characters, including Squire James, Locklear, the great magician Pug , and Prince Arutha, among others. 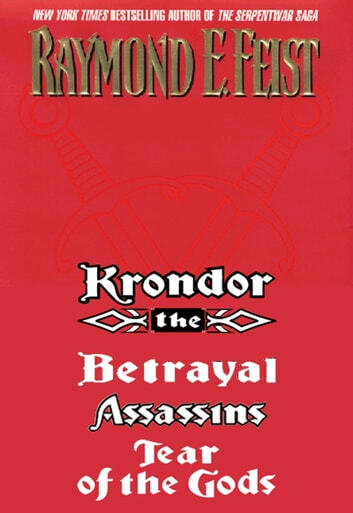 Interesting series, as the first and third books are actually based off of video games that came out in the 90s, which were based off the original Riftwar Saga. Overall, if you like the Riftwar Saga you will enjoy these. I did find the first book felt a little too 'gamey', however, as sometimes it seemed the characters were going through 'dialogue options' like you would in an RPG. But about half way through the book I lost that feeling and the rest of the series was a lot of fun, especially since Jimmy played such a central role.